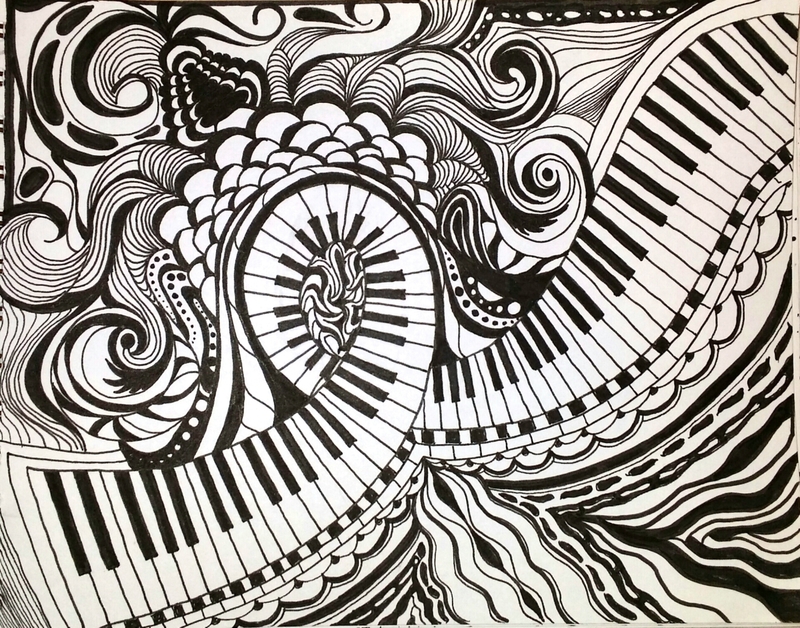 Many blessings my friends…may you all play beautiful music on the keys of life!! Wow! Love the art and the words– perfect combination. Love what you see behind your eyes and especially what flows from your pen dear Lorrie! Keep it coming! A marvelous drawing, and poem to go with it. Thanks. I love your artwork Lorrie… and the flowing words have their own melody. I have not had the pleasure to read onw of your poems for a coiple of weeks and this was so beUtiful Lorrie. And I love the graphic. Happy new year sweet soul. My turn for speechlessness. I love the winding keyboard, a little loop-de-loop of clarion sounds dancing across the page, a ribbon of latent order wondering just what to be next! Such playfulness does indeed erase the scars and soothe the heart. what a creative way to deal with insomnia! This is awesome. the words and your beautiful picture. you are so talented. You are so sweet to say…but honestly…I really feel the “art” and “words” come from a divine place…I just use my hands to express it!! Thank you!! I felt each word…I hope you do too. Thank you…I’m glad you stopped by.